Founded by Dr. Dame Daphne Sheldrick in 1977, The Sheldrick Wildlife Trust honours her late husband David Leslie William Sheldrick. David Sheldrick was a well-known naturalist and the first Warden of Tsavo East National Park. In his memory, the trust “embraces all measures that compliment the conservation, preservation and protection of wildlife”. Achieving praise around the world is the trust’s elephant and rhino rescue rehabilitation program. Hoping to overcome threats to wildlife such as poaching, drought and loss of habitat, the trust is continuously working towards long-term conservation. 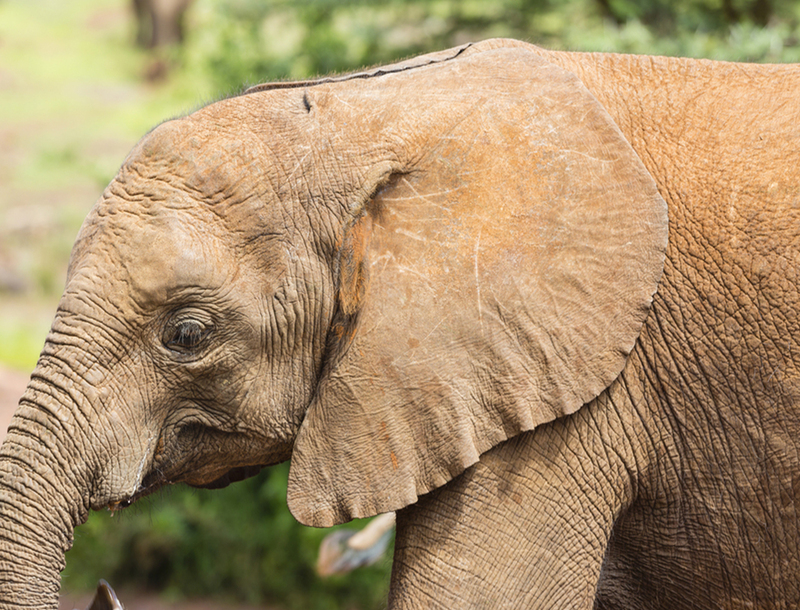 The Orphans’ Project provides hope for the future of elephant as well as rhino populations. Their work is taking in animals defenceless against these threats. So far it has raised over 150 elephants from infancy, integrating them back into the wild when they are ready. In order to help combat the poaching threat, the Sheldrick Wildlife Trust has operated de-snaring and anti-poaching units for more than fifteen years. Currently, eight full-time anti-poaching units patrol the border of the greater Tsavo Conservation area. These teams confiscate poaching structures and snares as well as get involved with arresting poachers. The trust endeavours to maintain all wildlife and biodiversity in Kenya. This includes the natural landscape. Great efforts are made to both sustain and protect the environment. The main focus is in the Tsavo Conservation Area as well as the Kibwezi Forest. Initiatives include but are not limited to, providing water resources in arid areas. Other intiatives include the installation of electric fences which limits conflict amongst animals over natural resources. The poaching of adult elephants is what leaves most infant elephants orphaned. In these first two years, an elephant calf is exceptionally vulnerable as it depends upon its mother’s milk. With the support of the public, the Trust has been working hard for 30+ years to find a milk formula that can properly nourish an infant elephant. So, now these elephants are raised to be healthy and strong. Adopt an elephant today! There’s no better feeling than knowing you are contributing to a meaningful cause. Keep up to date with your new friend by enjoying a monthly summary of your elephant’s progress as well as contributing to the Sheldrick Wildlife Trusts effort to support the survival of a truly amazing species. Furthermore, there are many other causes they contribute to including community outreach programs and conservation efforts.